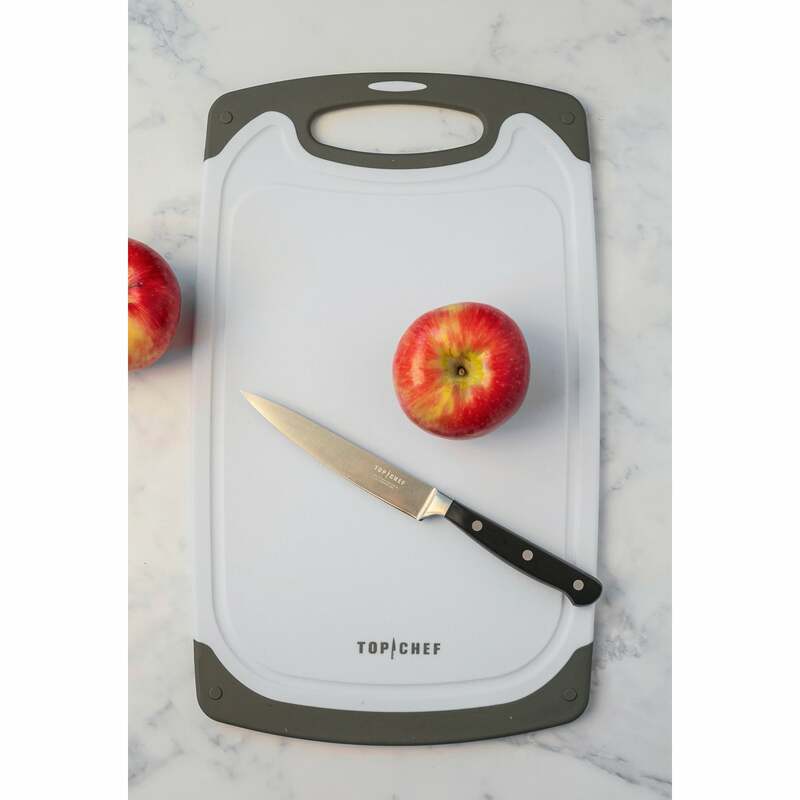 Bring Bravo's hit series Top Chef into your home with our Premium Small Poly Cutting Board. 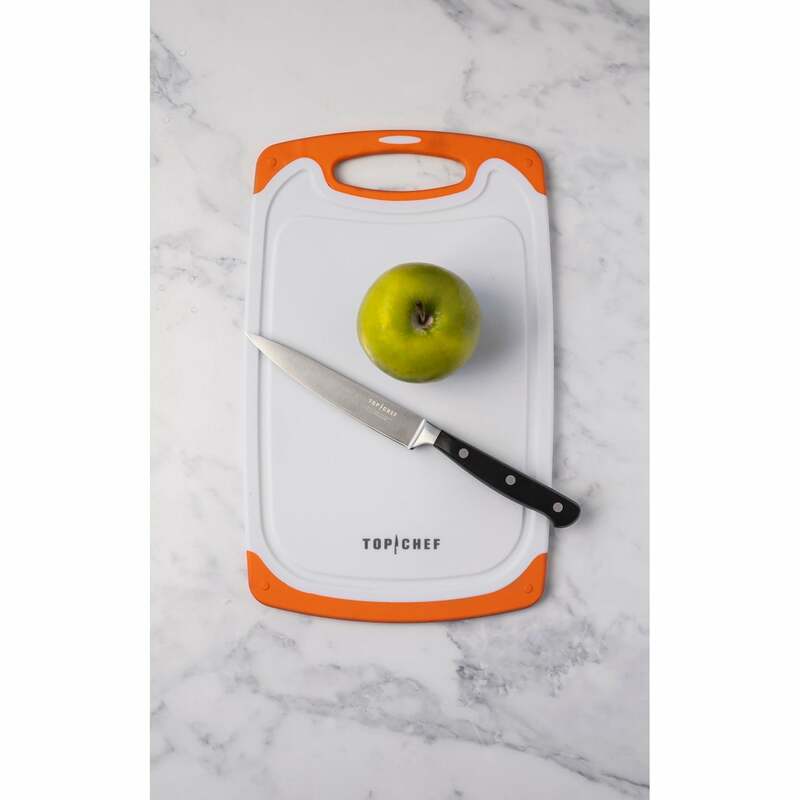 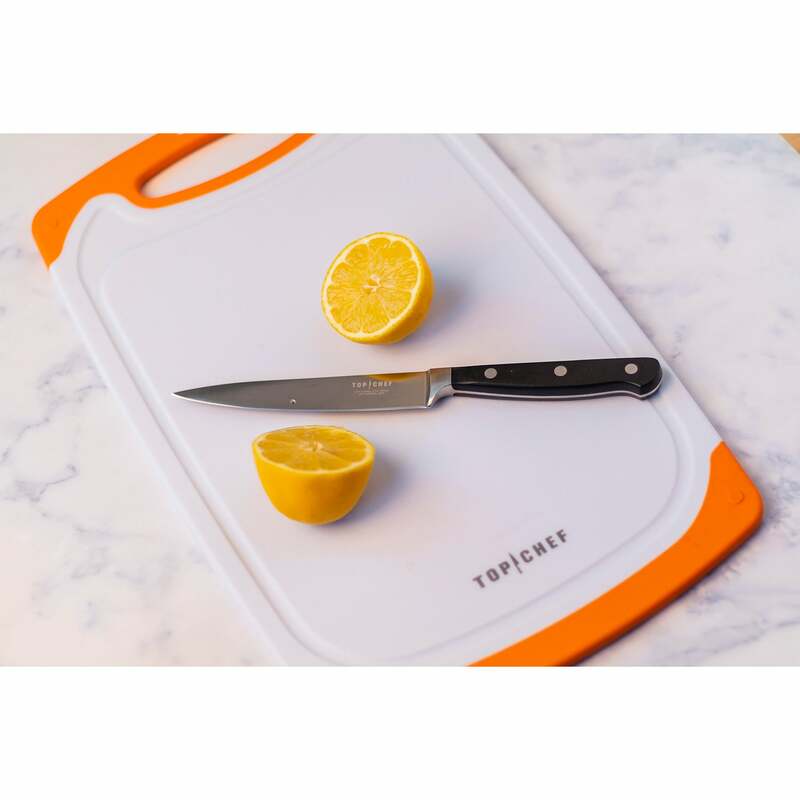 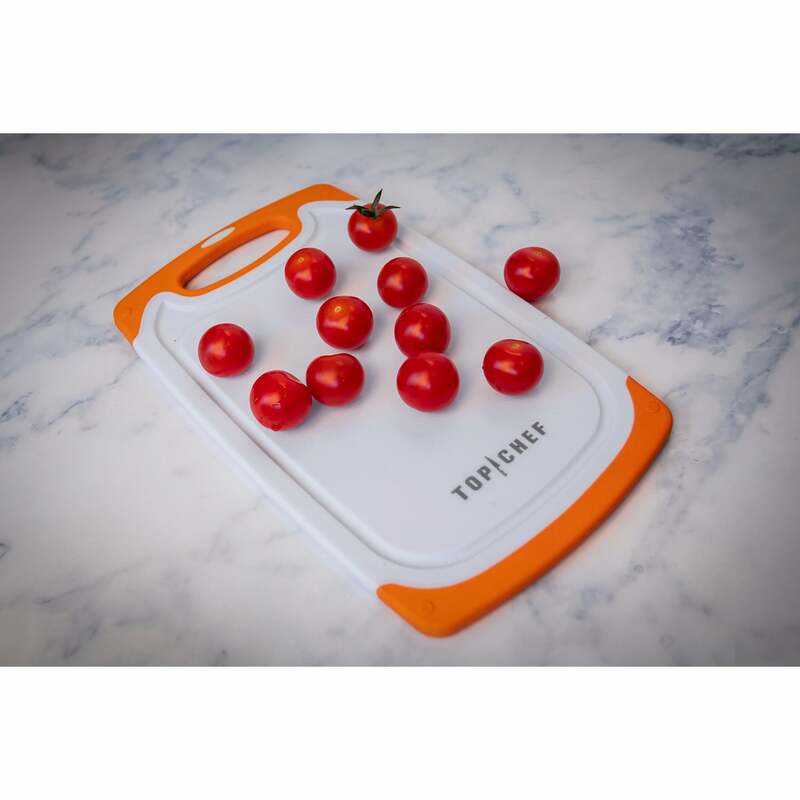 This BPA free poly cutting board is reversible for dual sided use and has a juice groove on the top side to catch liquid runoff and help keep counters clean. 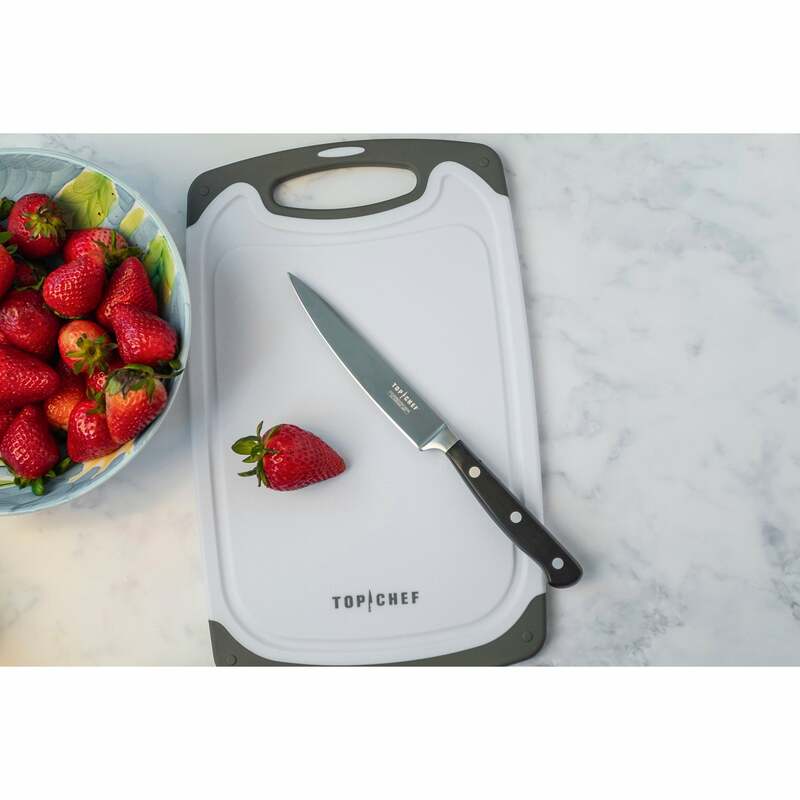 The top side also has Top Chef logo branded on it. This awesome board also has grey silicone edges to prevent slipping- even on wet surfaces and a handle making it easy to grip and lift off the counter. 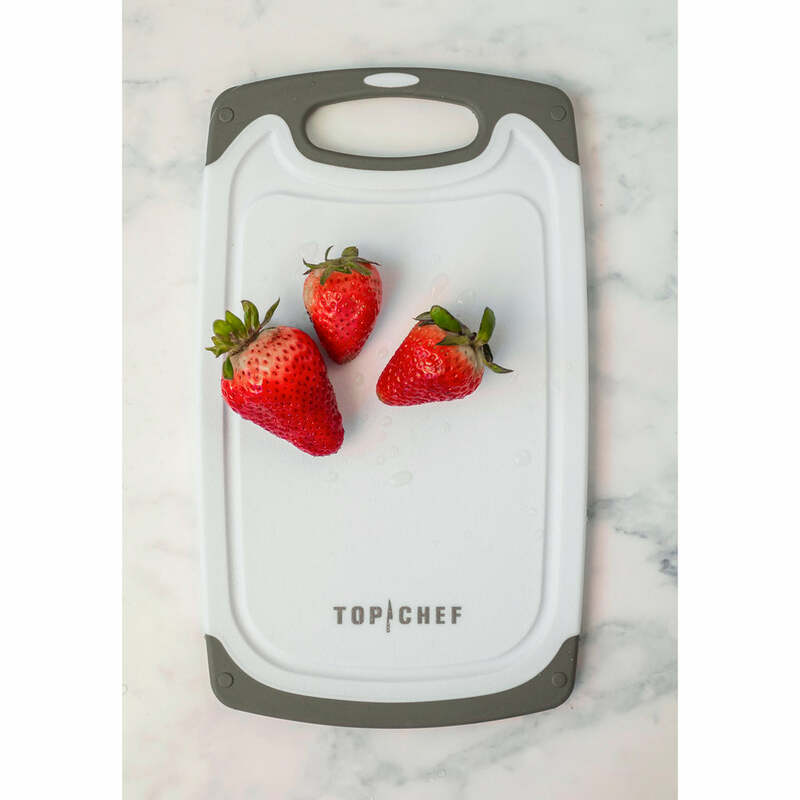 Chop your way to success and let everyone in your kitchen know who the Top Chef is!